Machine builders are increasingly demanding machines with higher hygienic standards to withstand aggressive liquids and foam cleaners. To complement the introduction of the stainless steel motor to the LinMot product range, the matching guide is now available. Together with the stainless steel motors with high protection class IP69K, this complete system is suitable for direct use even under difficult ambient conditions. The stainless steel system is designed optimally to handle the use of aggressive liquids and foam cleaners, which are common in the pharmaceutical or food industry. The guide consists of two guide blocks, two guide shafts, and a load-mounting plate, all made from rustproof steel (mat. no. 1.4404, AISI 316 L). 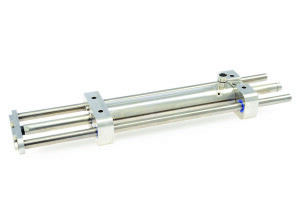 The precise linear motion is provided by hardened shafts supported in plastic sliding bearings. The bearing material is specially designed for use in food products and medical applications and is certified to FDA standards. The design is characterized by its conveniently rounded surfaces, which make it easier to clean. A channel in the guide blocks also makes the slider completely flushable. The guide has a maximum stroke length of 510 mm. 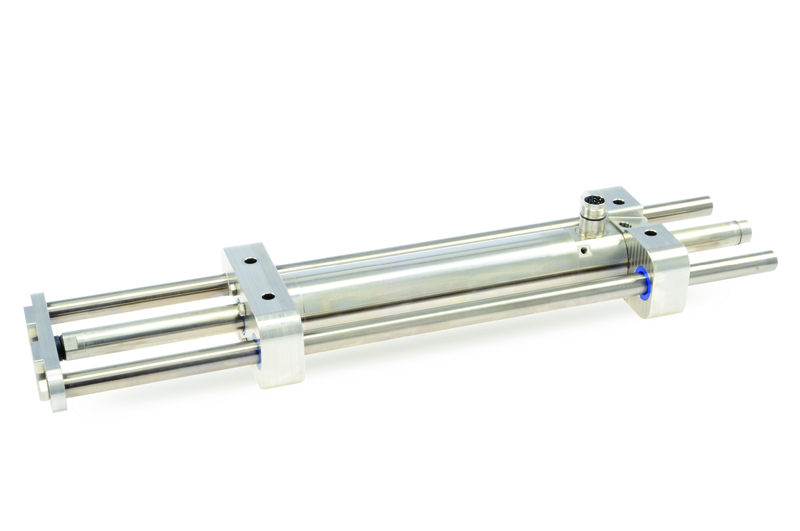 Together with the stainless steel motors, motions with an acceleration of up to 440 m/s² can be achieved. The H-37 stainless steel guides and H-48 stainless steel guides are now available and more information is available on the LinMot website or by calling us to discuss your application.